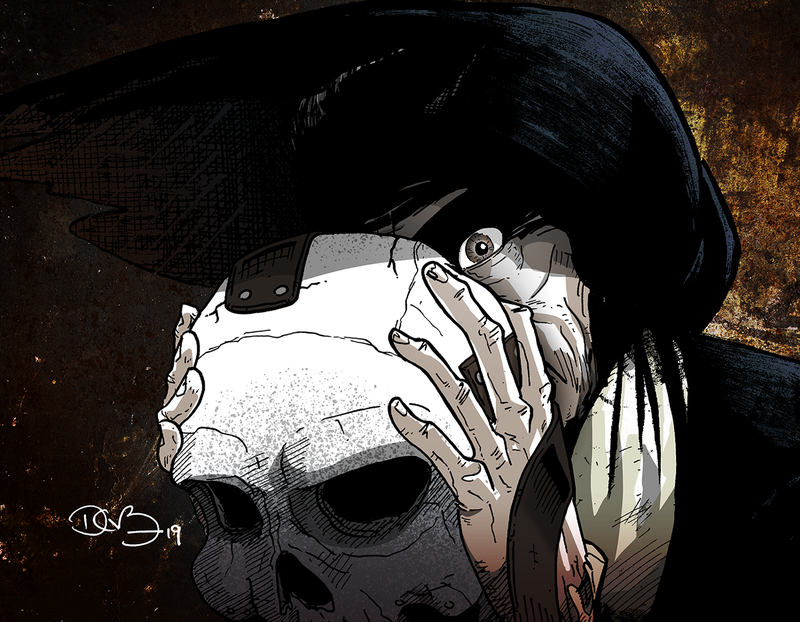 Comicking is a solitary venture, even more so when as a dedicated hobby done in addition to a full-time day job. In that scenario, the time spent actually making comics is often abbreviated and sporadic, and the rest of your time is spent yearning for great blocks of uninterrupted productivity. 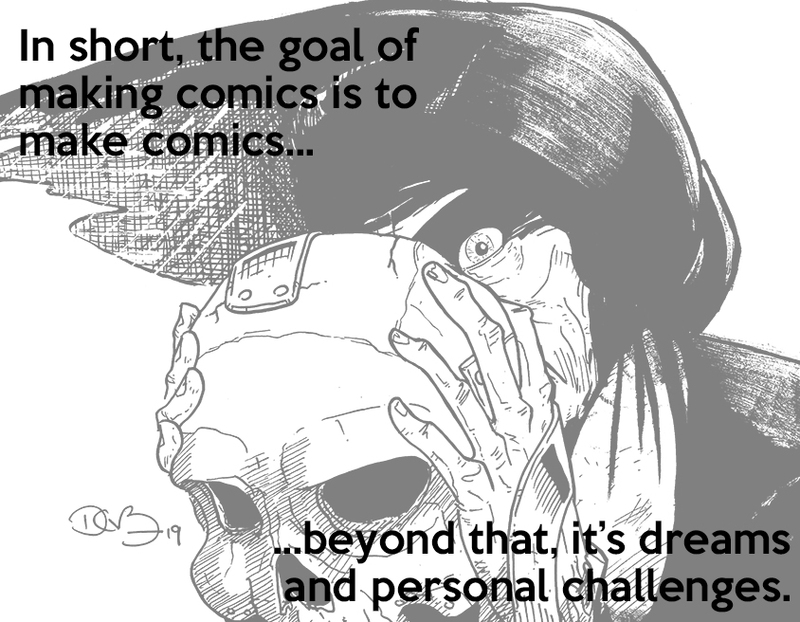 In short, the goal of making comics is to make comics. Beyond that, it’s dreams and personal challenges––the things meant to motivate you to get back to the table. As an English teacher––albeit not a literature teacher––I have surely fantasized about teaching a critical analysis class about comics, but such a class was one of the last places I ever thought I’d find Long John as one among a list of required readings. However, I can proudly say that this semester Volume I was included in a CSU Sacramento upper-division English literature class led by Dr. Susan Fanetti. Yes, she is a friend and, yes, I knew the class was being planned, but, no, I had no expectations nor assumptions about being a part of the curriculum. If I was invested in anything, it was merely to get the reading list to see what texts she assigned (side note: her reading list was much better than any I had generated during my thought experiments). And while having Volume I in a college-level class is in itself cause enough for personal victory, the peak extended even higher. As much as I never would have thought a book of mine would be included in a college literature class, I never thought I would be in a position to talk about comics to such a class either. Dr. Fanetti asked if, after they had their class discussion about the book, I could come in to chat and answer any questions they may have after reading. I could also cover any aspects around the making of comics that may get overlooked by the general reader. That, to me, was the true nexus point in my dual (but unbalanced) careers, where pedagogy and comicking become one thing. I agonized over preparing the talk, putting an undue and unfair amount of weight on its success––as if I faced expulsion from both teaching and comicking if things went poorly. Also burdening my anxiety was the wonder of how to talk to a room of literature students, something I don’t do during the normal course of my workday. To that end, I stressed over all of the possible flaws of plot and continuity for which I could be derided and the book ridiculed as incomprehensible nonsense, or how I possibly and unknowingly worked in something so offensive that I would be met at the door with pitchforks and lawsuits. However, for all the preparatory fuss, I gave the talk and it went as planned, which is the best outcome for any public speaking, I would say. My mouth went dry in the middle and, toward the end, I started my usual anxiety-driven stutter. But when I nailed the ending, I stepped back feeling as accomplished as I had hoped. And then the floor was opened up for questions. Two slides I used in my talk to illustrate the importance of interaction of characters with each other and with their setting and how understanding this can help sell the emotional narrative of a story more than words or individual poses. 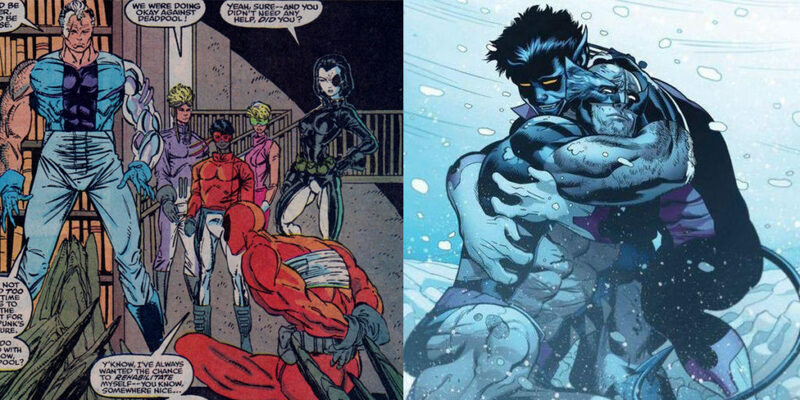 Art by Rob Liefeld (pencils/inks) and Steve Buccellato (colors) (left, from New Mutants #98), and Ed McGuinness (p), Dexter Vines (i), and Marte Gracia (c) (right, from Amazing X-Men #4) Image source: Marvel Comics. I’ve been asked a lot of questions at shows and on podcast interviews, but they tend to run around the same tracks––asking about tools, artistic inspiration, and if I’d draw their comic. These students, however, offered questions. They thoughtfully probed the characters and aesthetics, yielding powerful insights which showed me what people were taking from the book when walking into it blind (why did I color the lake on the cover for “Save the Bones” red when, at the start of “Sunza”, I colored it black?). It was this discourse that ended up being the greatest reward from this experience, and it wasn’t anything I concocted or machinated; it was simply through being one half of a conversation about comics. All of that for this: what inspired this week’s drawing was another surprising aspect of the talk––the students really liked and responded to Hellrider Jackie. In fact, most of the conversation and questions focused around her, which comforted me with the knowledge that I could make a character who barely appears in the story (so far) have a profound impact on the reader (something I tried to do again––in a different way––with Juan John in Chapter 3, “Making Smoke”). I can’t thank Dr. Fanetti or her students enough, and I hope they read this and take my comments to heart: they gave this comicker a lot of confidence, validation, and motivation to keep trying to do what I’ve been doing––making my weird little character-driven western as best I can. In the long run, few other experiences will exceed the fear, excitement, and reward than the first time I walked into a room of readers armed with honest critical approaches to my work and trust-fell into their analysis.